My love of cruising inspires me to share and convert others. As I recount my latest river cruise, I struggle. How would I best differentiate my Avalon Waterways’ river cruise from others? This is my sixth river cruise, if you count my barge adventure in Burgundy along the scenic river Saone, a 3-day river voyage in the Amazon and my overnight cruise on the Nile during a visit to Luxor, Egypt. All were wonderfully unique and quite different from my ocean cruise travels. As one can expect, the itinerary, season and weather all play into the overall experience. A cruise ship becomes your homebase where you unpack once and leave the logistics of the trip to the captain and crew. With river cruising, land is always in sight. And, a smoother, less turbulent journey along the waterways means little to no chance of sea sickness. With the exception of scenic passages deserving of daylight, the ship navigates gentle currents and the locks at night while guests are settling in for the evening or asleep. Getting on and off is easy and well organized; there are never the long lines and delays one finds with the mega-ships. Given the small ship size and capacity, 150 guests or less, river cruising can be likened to a family-friendly outing on a floating boutique hotel. You are not just a cabin number and by the end of the journey you will leave with lasting friendships. On a river cruise, the staff will know your name by the second day or sooner. So, if anonymity and total privacy are your preferences, river cruising may not be a match. The ship’s compact size also allows access to smaller ports, the gateways to quaint fairy tale villages and historic sites, delivering a magical unforgettable travel experience. It is the artful blending of the itinerary and excursions that makes river cruising special. Travelers expect more and are willing to pay for it; they want to be inspired, challenged, educated and entertained. The “immersion factor” is critical to a successful cruise program. Complimentary tours, outings, lectures and musical performances add to the allure. Dining options come in close second to excursions. Cruisers love to eat and drink well. The chef and culinary team work to exceed expectations with creative menus, wine pairings and presentation. The restaurants are definitely fewer in number on river cruises. Most ships will only have two to three dining areas which usually include the lounge area; but if you travel with the right river cruise, the quality and variety of food and open “choice” seating is never lacking. And, depending on the ship, the service will outshine any larger ocean cruise line. Often times, the river versus ocean cruise travel decision will come down to the featured entertainment and activities. Don’t expect over-the-top Broadway or Las Vegas style shows, a casino or a surfing simulator. River cruising is focused on the treasures on shore, away from the ship. When not on a tour, enjoyment and diversion is found in a good book, conversation over cocktails or at the bar listening to piano tunes. On my first river cruise, I had to hit the reset button and relearn how to relax. The number of river cruises has more than tripled in the last 10 years; this staggering growth has given cruisers more choices but also has resulted in river crowding. Lack of docking space has introduced the practice of parallel parking, a tethering of ships, along the river bank. It is not uncommon to wake up to an in-your-face view of another passenger cabin, so be sure to close your shades each evening. Global warming is also a threat. This summer’s heat wave nearly grounded several cruises due to low water levels. This does not all fare well for the consumer. It is important to find a river cruise line that can navigate in good times and bad. My summer cruise with Avalon Waterways restored my faith and gave me further reason to share in the river cruising frenzy. I joined the Avalon Imagery II and 112 passengers in Basel, Switzerland for an amazing journey of discovery. The grandeur and rich history of Western Europe and the majestic Rhine would be my focus for the next seven days. I cruised from Basel to Amsterdam in a deluxe cabin which offered sweeping views from every angle. Even my bed was strategically positioned facing the windows not the wall, so I could enjoy every exciting vista in total comfort. Every evening before dinner, our Cruise Director would host an engaging port talk giving passengers insight into the next day’s schedule and highlights of the destination. Tibor, the Director, always made the time together a fun exchange with his quirky sense of humor and personalized sidebars. I visited storybook cities like Heidelberg, Strasbourg and Cologne. I was awe-struck by the magnificent Rhine Gorge speckled with castles and vineyards and spent a glorious day in Germany’s beautiful Black Forest. I was treated to a narrated canal boat cruise in Amsterdam. I feasted on regional dishes and specialty gourmet goodies never having my fill of the amazing selection of gourmet cheeses and freshly baked breads. A free flowing food paradise! The pleasure principle ruled especially at dinner with the endless wine pours. Afternoon tea service complete with pastries, sandwiches and decadent cakes was a near ritual for me. Luckily, there were shore excursion conflicts that prevented me from making tea time a daily indulgence. If I had a craving, the 24-hour Club Lounge, with its high tech auto coffee machine and a stockpile of sweets, would satiate my need for a latte and a sugar fix. In short, Avalon Waterways gets it right in all departments. Perhaps, it has something to do with the powerhouse travel company, GLOBUS that backs the Avalon brand. Or maybe it is the management team’s combined tour experience or the staff’s attention to detail that has provided the competitive edge. From my vantage point, it is a combination of business savvy and listening skills. Giving customers what they want is Avalon’s mission. Love their tagline “Possibilities are as wide open as the Views”. It resonates to me as truth. Choice & Comfort: Avalon Waterways shining stars are part of their illustrious Suite Ships® fleet, 13 custom built ships offering over-sized staterooms (200-300 square feet) and views 30% larger than any small ship in Europe. Each ship includes two decks of Panorama Suites, featuring floor-to-ceiling windows that create amazing open air viewing balconies. Pricing & Promotions: The savings flow like a river. Compared to similar category luxury cruises, expect to pay 20-25% less. Cruise clients can take advantage of special bundled packages that include free air and loyalty discounts and on-board credits. Dining with a Twist: Cruising celebrates indulgence. The endless buffet, cook-to-order meals and overall culinary decadence cannot be ignored. But sometimes a “lead us not into temptation” approach is also appreciated. Avalon selected a dynamic duo, Chefs Leo and Karl Wrenkh, leaders in the emerging healthy dining movement, to craft an innovative, alternative menu with dishes not only deliciously good but good for you. Cruisers are treated to Avalon Fresh® healthy meal options, from smoothies to high protein plates, created from the freshest farm-to-table ingredients. Avalon’s Panorama Bistro concept gives guests the dining option of a private table with a view in a lounge setting. Mouthwatering tapas-style servings and libations are plentiful. Though a more informal and smaller-portion dinner choice, the bistro makes for a nice romantic escape from the banter in the main dining. room. Learn more about Avalon’s signature dining from menus to schedules online. Exceptional Excursions for Every Level: Encouraging exploration, Avalon offers more than one complimentary excursion daily. Most excursions average 90 minutes and include a headset so you won’t miss a word from the exemplary guides. I was pretty impressed to find authors, historians and professors to be among Avalon’s expert tour leaders. There is a wonderful Gentle Walker group, designated on every tour, perfect for those who like to see the sights at a slightly slower clip. All excursions are designed with the discerning traveler in mind. Unique and engaging offerings that will make it tough to choose. Avalon’s new Active Discovery river cruises offer a even deeper immersion in each destination. Avalon Choice® custom excursion categories, Classic, Discovery, and Active, are designed to capture your mood, pace, and interests. A plethora of extraordinary experiences, many bucket-list worthy, await. For information on my Rhine River pre-cruise experience, check out my featured post on Basel, Switzerland. Entertainment: Music is always part of the mix. Afternoons and evenings feature live piano medleys in the lounge. Avalon also invites local talent to perform. My cruise showcased a classical trio, an accomplished accordion player and a hip cover band with a high-energy playlist that incited a dance party. 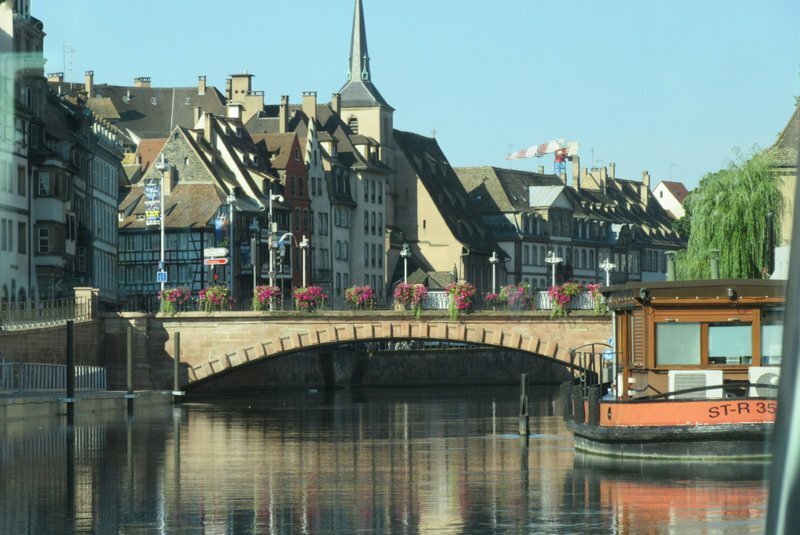 Whether you choose Avalon Waterways’ Romantic Rhine cruise or opt for another Avalon Waterways’ river cruise itinerary, feel confident that you are in good hands. River cruising stills the madness and silences the noise in our hectic lives. The beauty and wonders of the world come magically into view. Serenity is the norm as you discover a new sense of freedom while soothing your soul along the way. Book early and save. Contact your local cruise agent or visit Avalon Waterways online for special offers.